Anwar Ali (@anwaralimedia) has written for the Globe and Mail, the Toronto Star, and Alberta Venture. Most mornings at Calgary’s Olympic Oval, speed skaters Olivier Jean and Jordan Belchos power their way through lap after lap in a clockwork motion, with a deliberate forward-and-back swing of their arms and extension of their legs. Both athletes’ training regimen is nearly identical—on ice before noon; alternating between aerobic or interval training on in-line skates and weightlifting in the afternoon—but the way each came to dedicate countless hours to prepare for Pyeongchang 2018 isn’t. Jean has been an ice speed skater his entire life. Belchos, meanwhile, was lured a decade ago by an Olympic dream that wasn’t then, and still isn’t now, possible in his first passion: in-line speed skating. Belchos, twenty-seven, was recruited to the ice through Canada’s Own the Podium funding program when he was sixteen. He’s still fond of skates with wheels: last year at the Pan Am Games in Toronto he won a bronze in the men’s 10,000-metre event, Canada’s first-ever in-line medal at the Games, and he’s signed up for an in-line marathon in Duluth, Minnesota, next month. But, like Jean, a thirty-two-year-old two-time Olympian, Belchos knows his future is on ice. If in-line racing weren’t the jilted cousin of the Olympic-worthy ice version, he may not be training alongside Jean today. With little competition at in-line races in Canada, many promising athletes lose interest and leave. In a sense, Belchos is an in-line defector, poached by a sport in which Canada has a more formidable presence on the world stage. There are others. One of the country’s most decorated Olympians, Cindy Klassen, raced in in-line at the 1999 Pan Am Games before she converted to speed skating. Another is Meaghan Buisson, a former in-line marathon world record holder and the first Canadian to win a World Inline Cup title, whose promising speed skating career ended in injury. 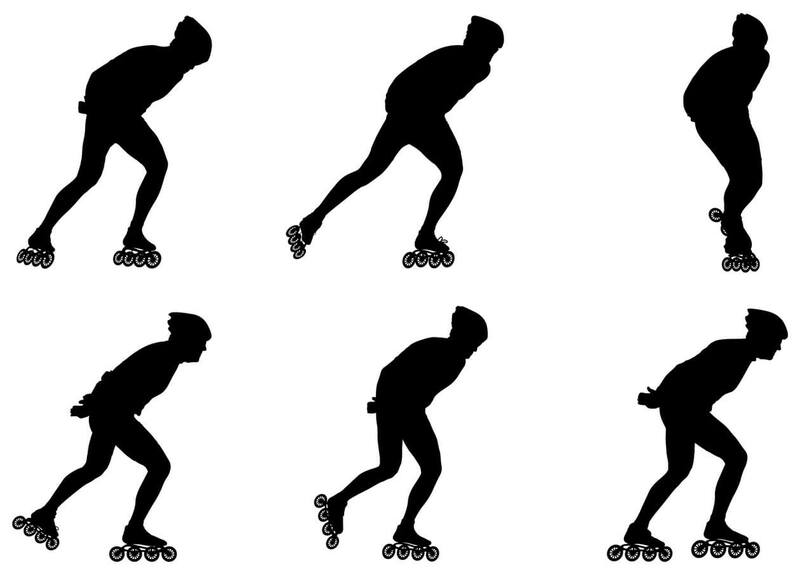 “That’s a risk for a non-Olympic sport that has another sport that’s potentially kindred,” says Peter Doucet, vice-president of speed at Roller Sports Canada, in-line skating’s national governing body. In Canada, there’s dwindling hope that in-line skating will one day make the Olympic roster, with the sport stuck as a draft pool for higher-profile sports with a better capacity to develop athletes, like speed skating and cycling. Even though the International Olympic Committee (IOC) short-listed in-line, along with six other sports, for the Rio Games, it ultimately opted instead to add rugby sevens and golf. FIRS, the international federation that represents roller sports, has lobbied the IOC in the past, but in-line has never made the cut. The IOC states that any Olympic sport must have widespread appeal in all corners of the world, prove it can uphold ethical standards, including proper doping procedures and competent officiating, and sustain itself financially. In-line might be failing in some of these areas, and there are suggestions that politics might be at play. It’s also simply a numbers game: the Olympics can only handle so many sports and if one gets added, others will suffer. The number of athletes would be reduced, or some events would be removed. In Canada, there are good intentions to help the sport flourish, but Doucet admits that there isn’t the same calibre of officiating, youth programs, coaching, or infrastructure here compared to Europe, Asia, and South America. There’s also a lack of harmony amongst Canadian clubs, and so few (only three sanctioned by Roller Sports Canada, although several others exist) that race events are bare and aren’t always very alluring for elite racers who want to skate against others at their level. And with little competition at races, many promising athletes lose interest and leave. There were only eighty registered Roller Sports members (although many skaters train independently) this year. In 2015, the national event was cancelled because only eleven people signed up. This year, just twenty-two people participated. The sport could extend beyond its grassroots status, Doucet believes, if there were provincial bodies in place to help with promotion. As it stands, in-line skaters are recruited primarily by word of mouth, largely because there isn’t enough money to market programs. 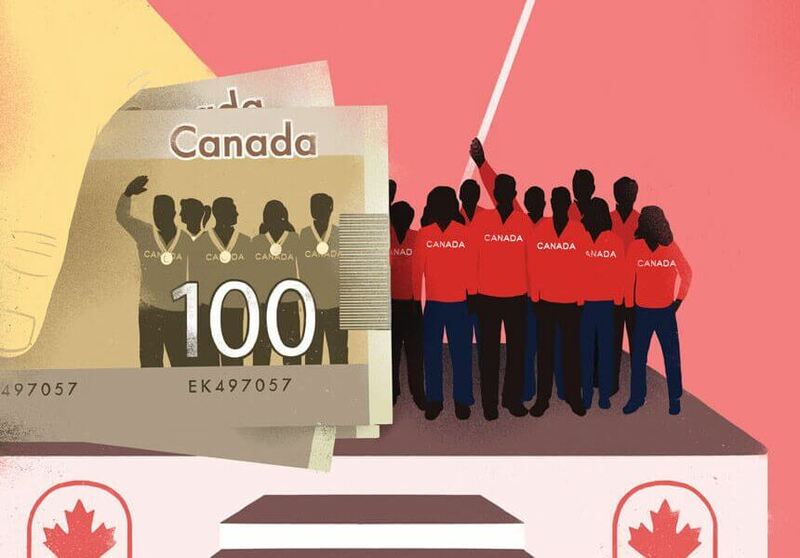 Roller Sports Canada receives no government assistance (the Department of Canadian Heritage said that the organization has never applied for funding, but it didn’t confirm if it’s eligible) and is entirely funded by members. Buisson, at one point homeless as she pursued her ambitions, eventually found sponsorship on her own. Elite skaters like Belchos don’t have enough visibility to attract youth to the sport. But even if there were thousands of kids eager to sign up, there are few options, with official clubs only operating in Calgary, Toronto, and Montreal. At a practice this week in Toronto, the three children who showed up are part of a youth program that was revived this year. There’s no guarantee it will survive next spring. Doucet, a coach and skater who’s competed at the international level, watches a dozen adults outfitted in spandex uniforms do relay exchanges, yelling “Set!” as they push other skaters ahead on a high school running track. They’re all wearing the low-cut racing boots with 110 millimetre-wide wheels. Doucet says serious racers can spend $3,000 a year on wheels alone; a good pair of racing skates will cost $2,000. There’s no sponsorship in in-line skating, and Roller Sports runs on a skeletal budget compared to Speed Skating Canada, whose annual budget is $5.4 million. Even if in-line were an Olympic sport, Canada would be far from competitive with the sport’s powerhouses, including Colombia, Korea, France, Italy, and Chile. Those countries have invested in the proper infrastructure, including race tracks that meet international standards of 200 metres in length with elevated banks. There’s only one in Canada, in a small Ontario community, Harriston, about 150 kilometres northwest of Toronto. Alex Perrie, a former in-line competitor, spent $250,000 of his own money to build the track in 2003. These days, only children from Harriston and surrounding communities train there. He says it’s the biggest club in Canada, with forty kids enrolled this year. He had grander hopes for the facility, but it last hosted a national competition in 2009.